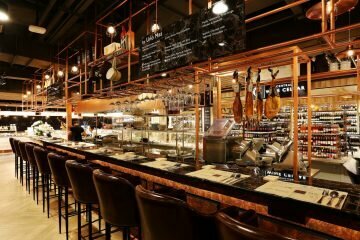 In a past few years, Spanish cuisine has taken Bangkok by storm, with a lot of excellent Spanish restaurants opening up throughout the city. 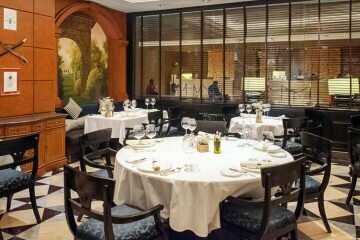 Among them, Islero shines like the moon in a dark night, with its authentic Spanish food as well as remarkable beverages and premium wines imported directly from Spain. 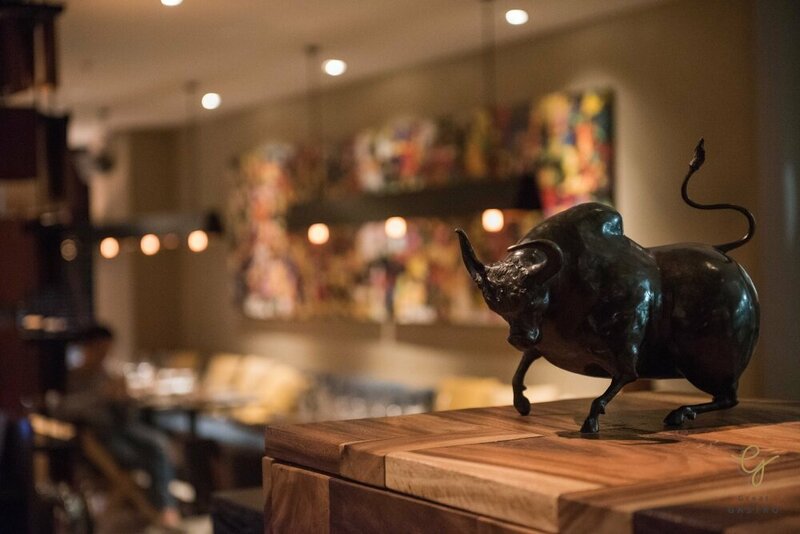 The modern Spanish restaurant Islero was named after a bull known for killing the celebrated bullfighter in 1947. 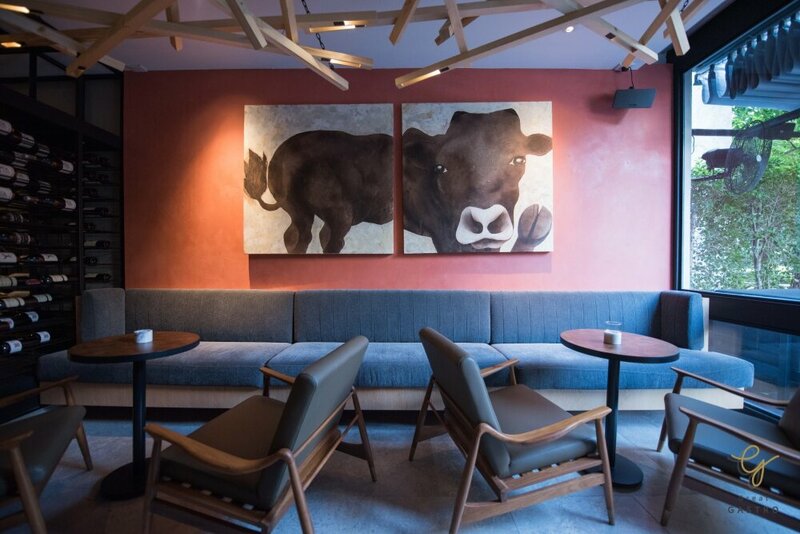 We once visited Islero for the creations of the young and talented Spanish Chef Emiliano Vignoni Alvarellos. 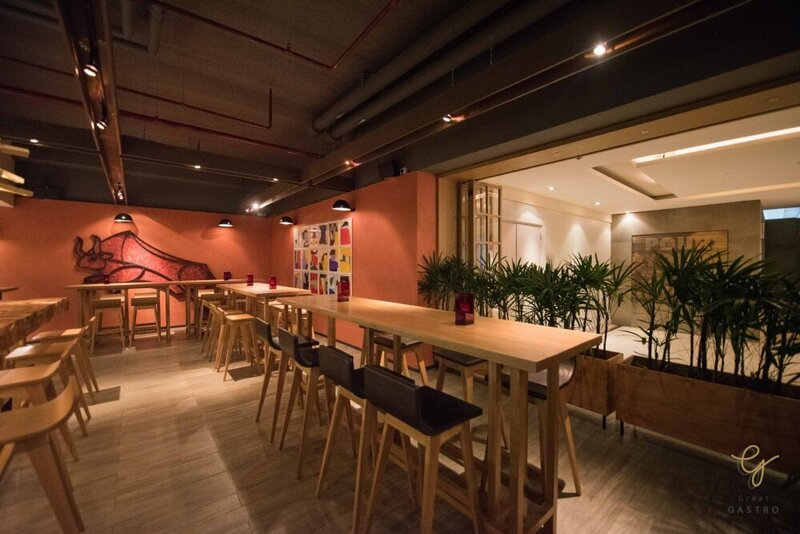 Today, we will take you to experience the other side of the restaurant, entitled Cava by Islero, the latest spot to hang out with friends or colleagues while enjoying the wonderful tapas menu and Spanish-inspired drinks, with both indoor and outdoor seating. 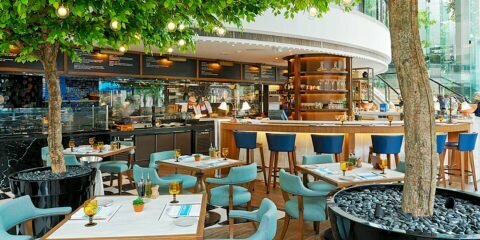 For tapas menu, the restaurant focuses on the authentic Spanish taste by using main ingredients of natural origin from Spain, together with modern cooking techniques like using a Josper oven to grill meat and neatly plating each dish with a contemporary flair. 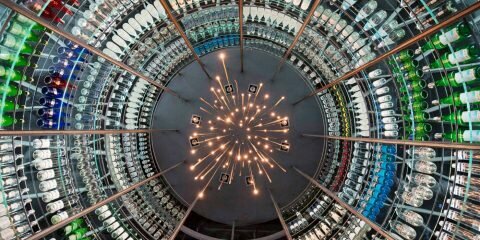 A huge wine cellar is also available at Islero, showcasing an extensive list of Spanish wines carefully selected by the restaurant’s Spanish sommelier who has demonstrated expertise in global and local wines. 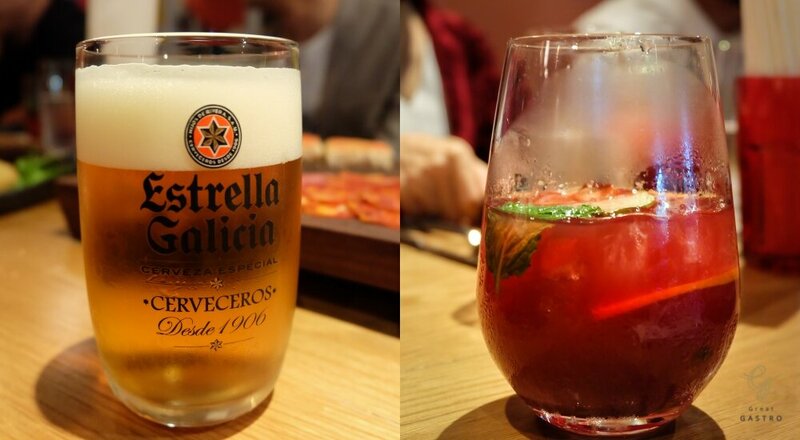 There are also Spanish favorite drinks like Sangria and a fair selection of Spanish craft beers. 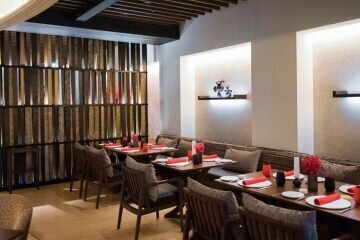 The menu here comes with a wide choice of delectable tapas dishes, some are very rare even in Bangkok. 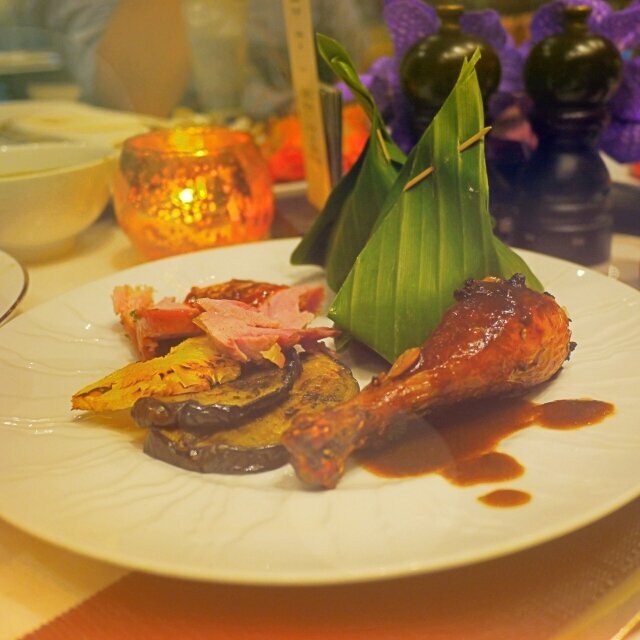 Here are some examples of the top mouth-watering foods that you shouldn’t miss. 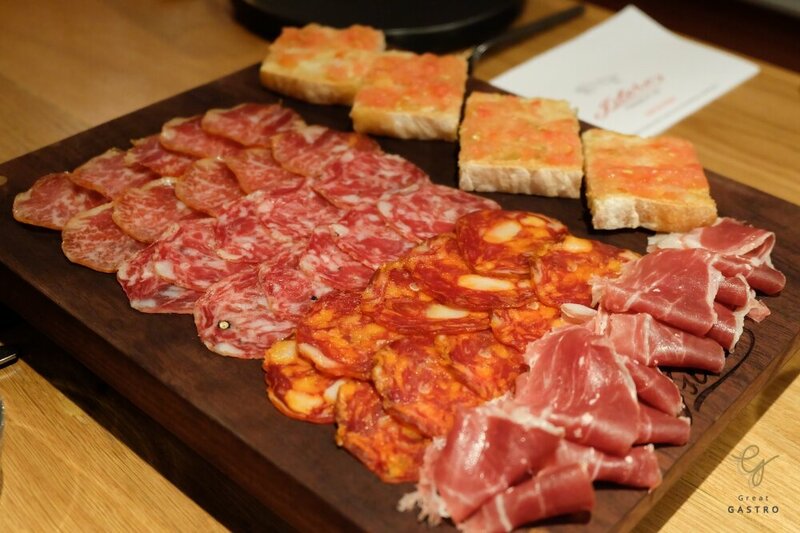 Speaking of Spanish cuisine, cold cuts are definitely indispensable. 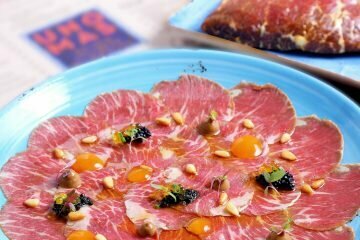 They are usually served as an appetizer and might be enjoyed with Sangria or Spanish Craft Beer. 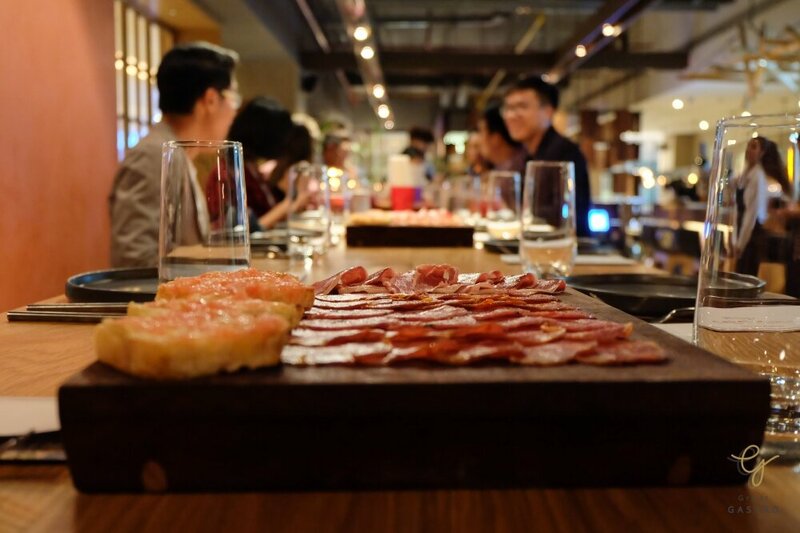 Cava by Islero’s Cold Cuts Platter comes with an option of premium deli meats including Iberico ham, chorizo, lomo, and salchichón, served along with toasted bread. 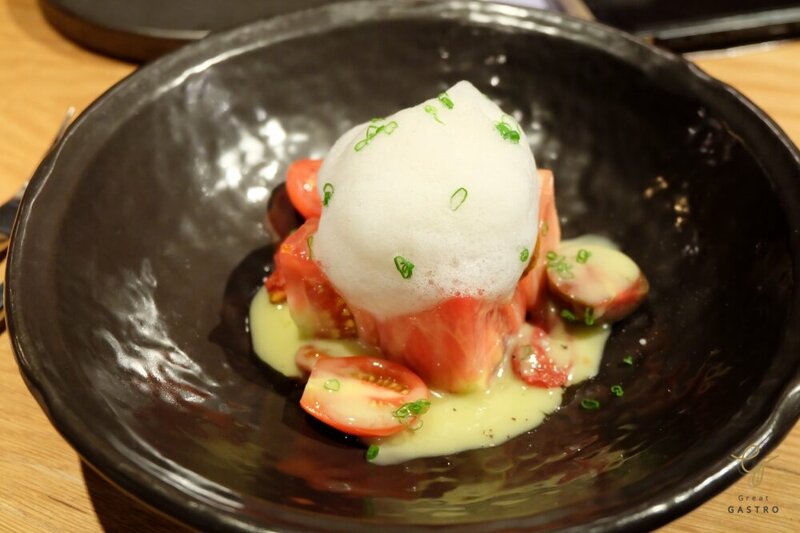 Another Spanish appetizer, Tomatina, made with fresh tomatoes with tangy olive juice, is astonishingly refreshing and healthy. 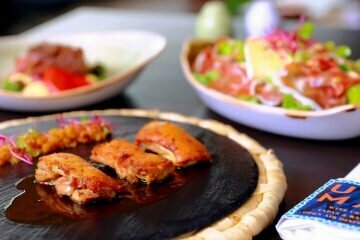 It is topped with cumin air and red tuna to add a delightful touch to this guilt-free dish. 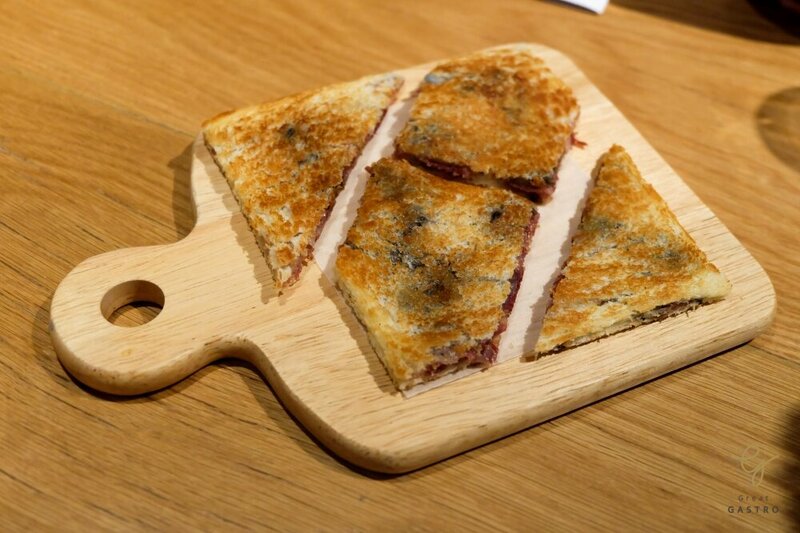 A grilled sandwich, Bikini, offers a nice crust with a savory, cheesy filling of crispy jamon iberico and cheese. 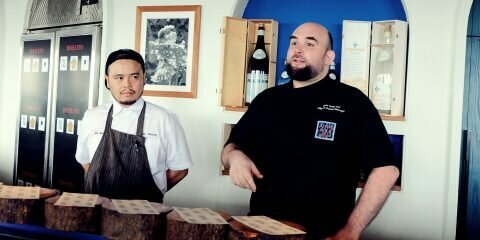 It is also blissfully flavored with truffle to impart the luxurious flavor and aroma of the fungus to the dish. Made by releasing compressed gas into a chamber with the cheese, the Idiazabal Foam Cheese offers a smooth, creamy texture with a mild, nutty flavor. 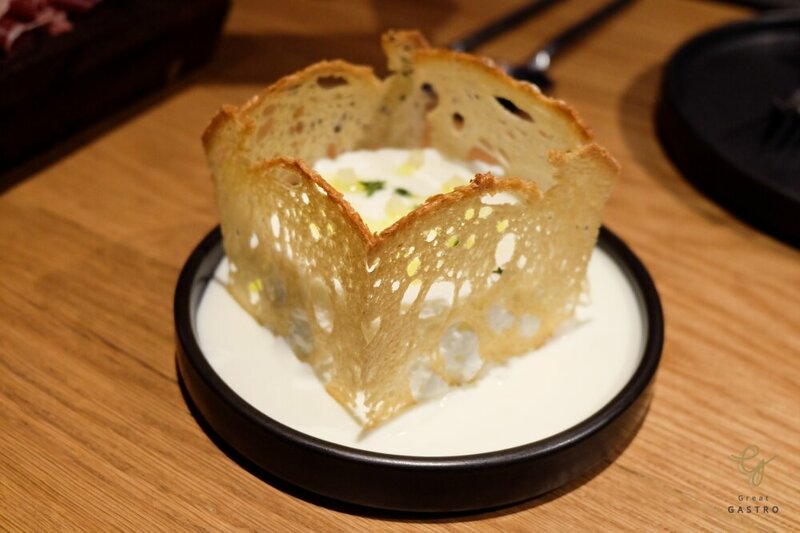 It is accompanied with the Idiazabal cubes and encircled by a thin wall of toast bread. 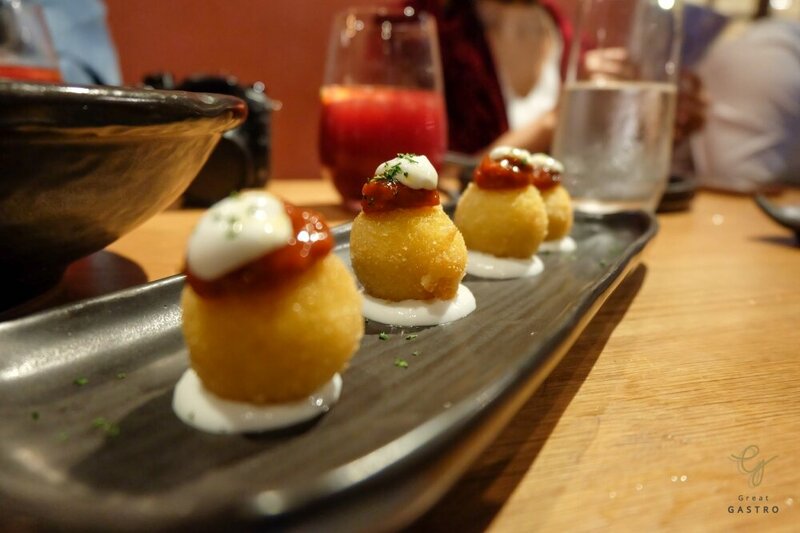 Coming up next, the Bomba De La Barceloneta is a traditional bite-sized snack made with a mixture of potato purée and minced pork, shaped into small balls, deep-fried until they turn golden brown, and topped with a spicy brava sauce. 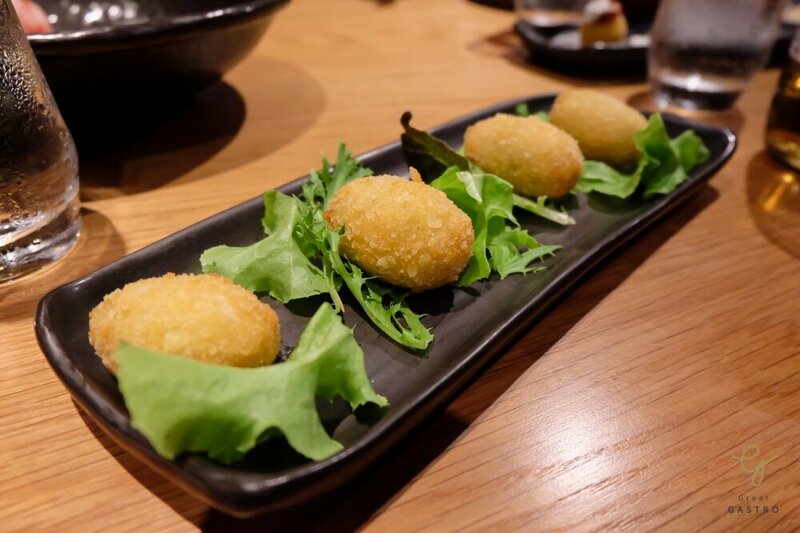 Homemade Croquettes is one of Spain’s most typical tapas dishes, consisting of a well-mix of mashed potato, chicken, and mint. 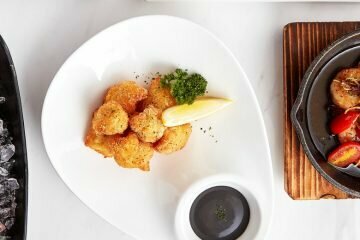 It is deep-fried until it becomes golden yellow, giving a nice crust on the outside but creamy on the inside. 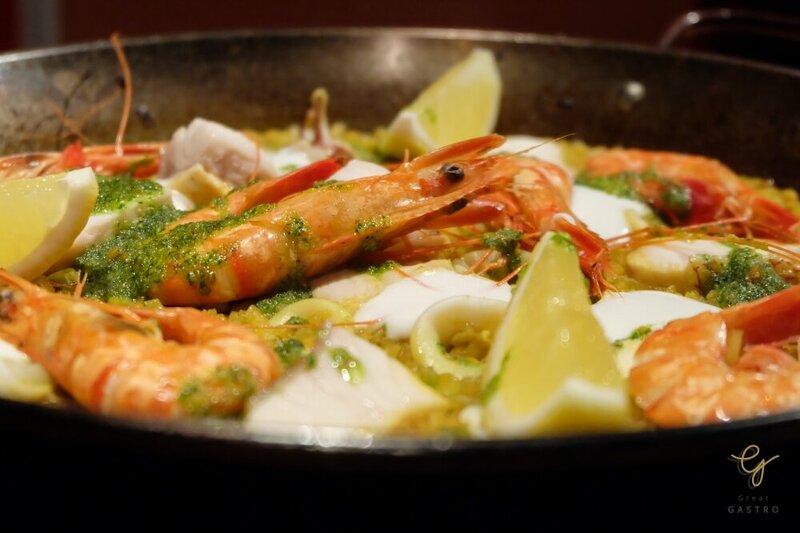 Among the popular Spanish dishes, the traditional Gambas Al Ajillo is not-to-be-missed. 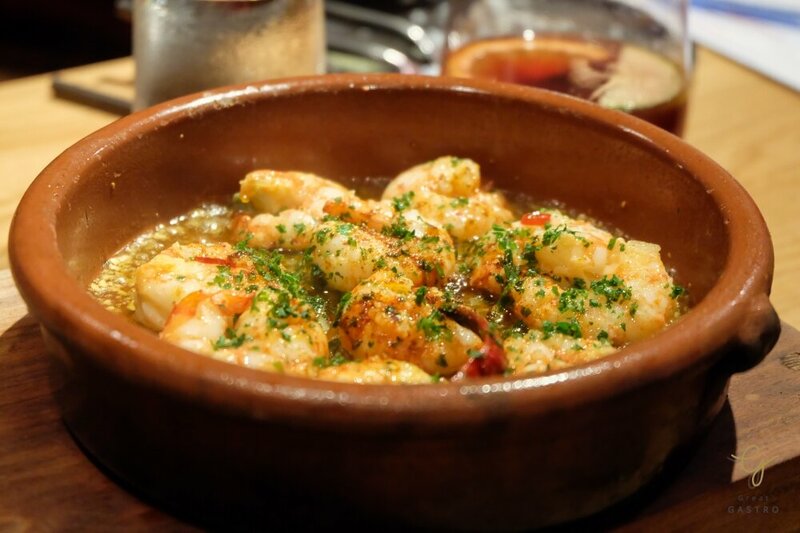 Fresh shrimps are fried in a spicy garlic oil, and served in a clay pot to retain the heat which allows the flavor and aroma of the oil to penetrate the meat. 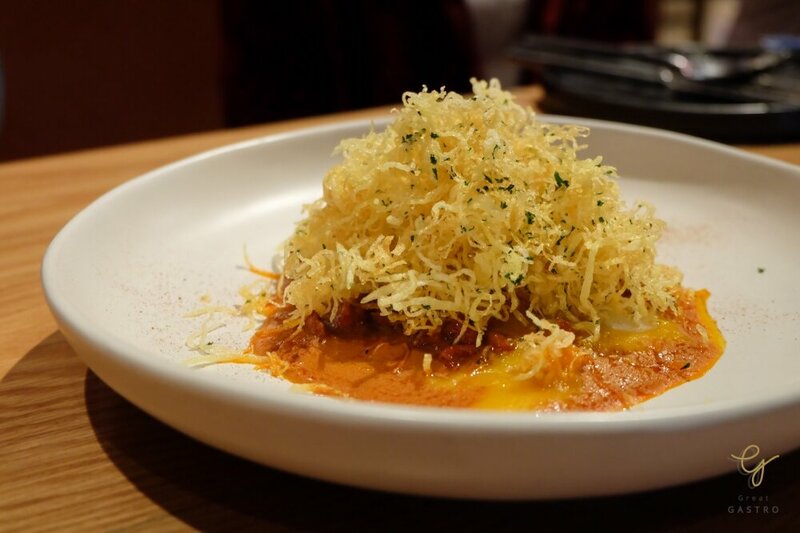 The feast continues with the Stress-less Egg, in which the egg is slow-cooked at 63 degrees Celsius and served on crispy potatoes which sit on a bed of chorizo. It is strongly recommended that you mix everything together before enjoying it. 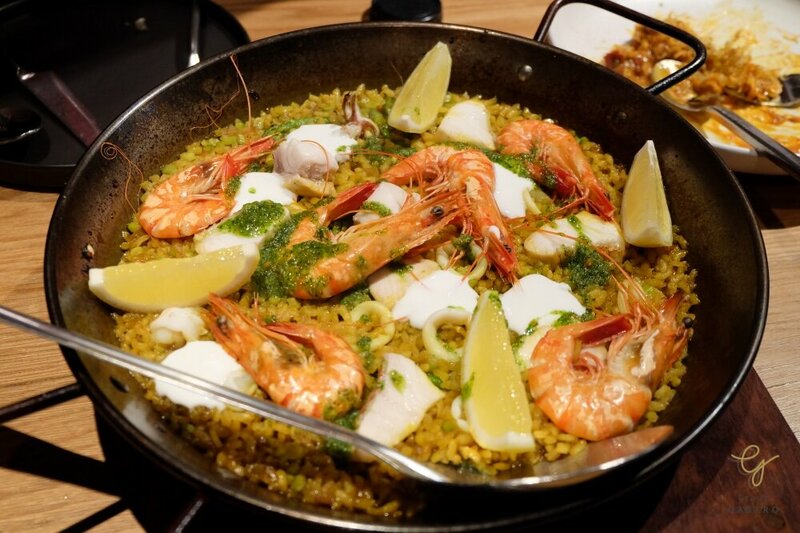 For a taste of the east coast of Spain, try the Paella, a Spanish staple of slow cooked bomba rice—known for its consistency and ability to absorb 3 times its volume of liquid—with aioli made of garlic and olive oil, topped with a choice of premium seafood or duck. 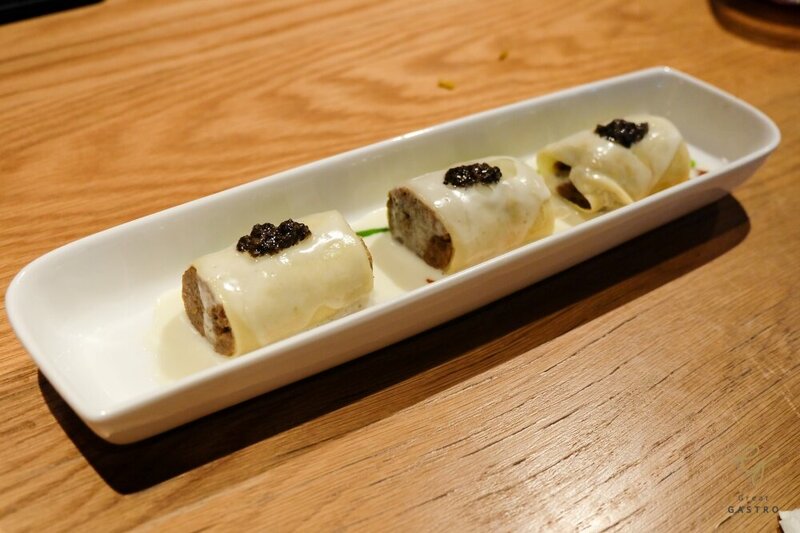 At Islero, the perfect al dente pasta, Cannelloni is stuffed with roasted minced pork and dressed with a nutty Manchego cheese sauce. 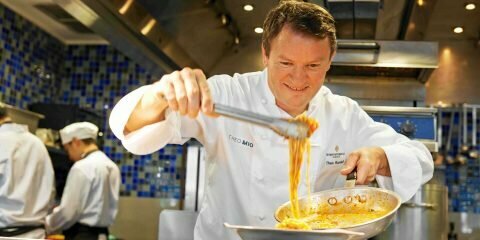 It is also crowned with black truffle puree to add a pungent aroma to the dish. 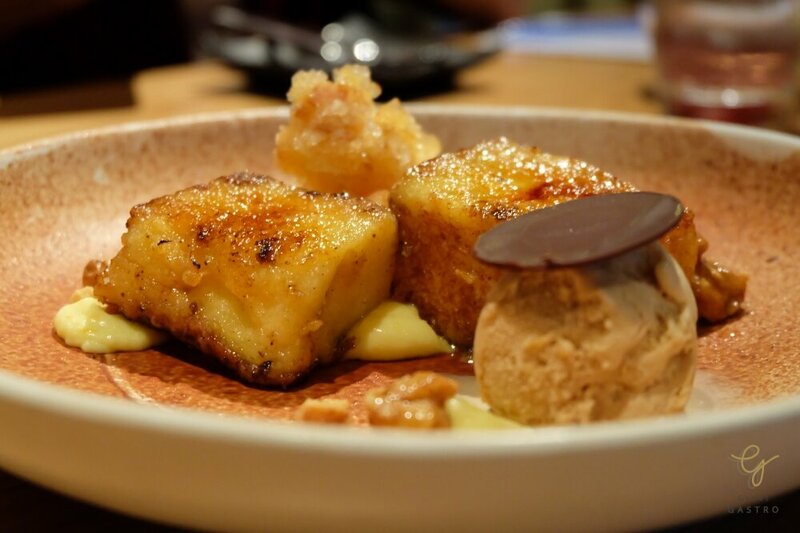 Finally, the Spanish classic toast, Torrijas made by grandmother’s recipe is a perfect end to this pleasant meal. 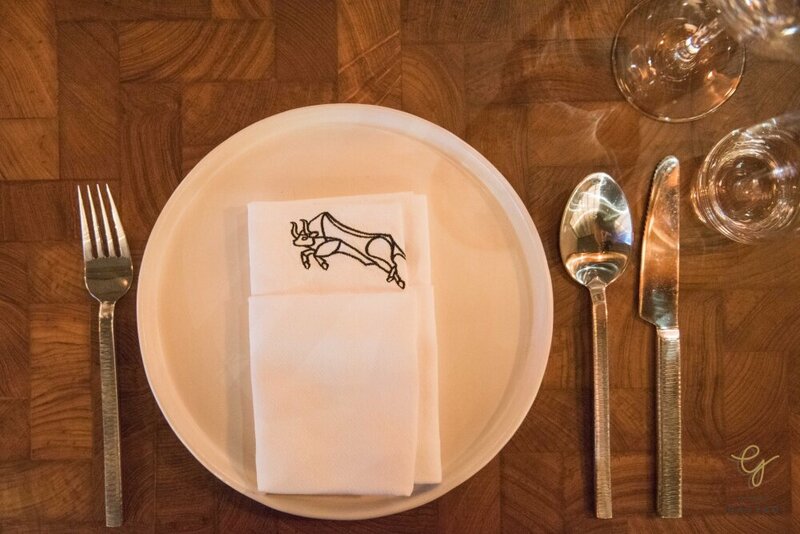 It arrives with soft brioche infused in aromatic milk, served with caramel ice cream. 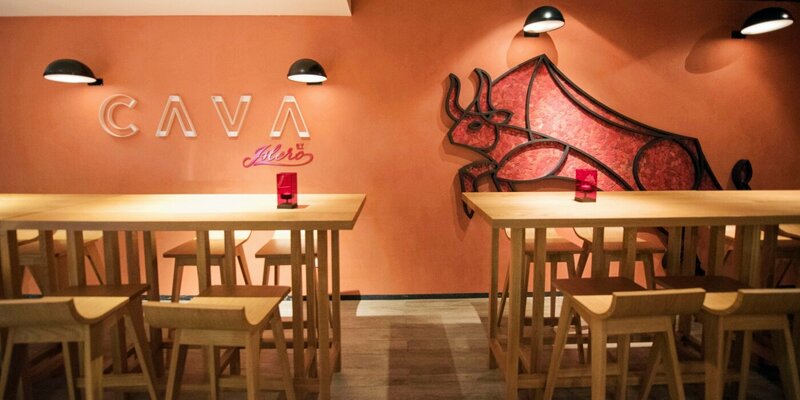 If you are looking for a place that serves up traditional and creative Spanish dishes using only the finest ingredients imported directly from Spain, Cava by Islero is highly recommended. Daily from 17:00 – 24:00 hrs. 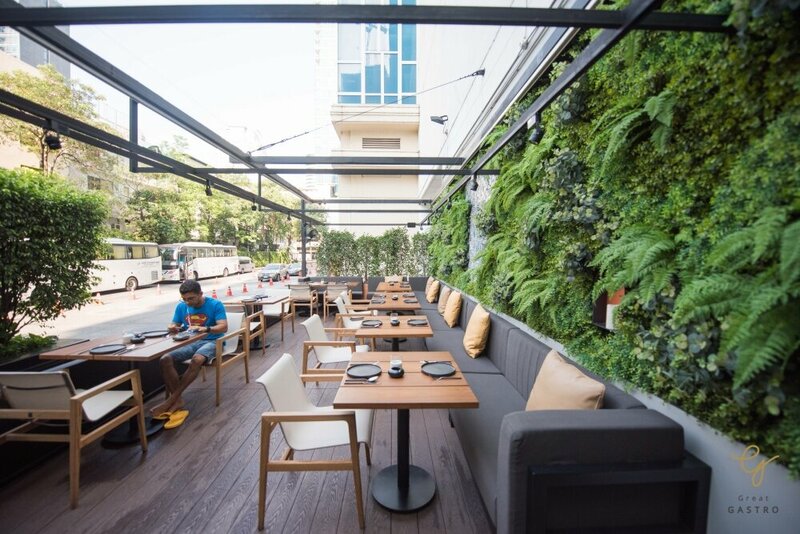 THB 550++daily from 17:00 – 21:00 hrs.